So That's the Spirit was definitely one of my most anticipated albums of the year! I preordered it and it arrived by post on Friday. Safe to say I have listened to this about 6 million times already! 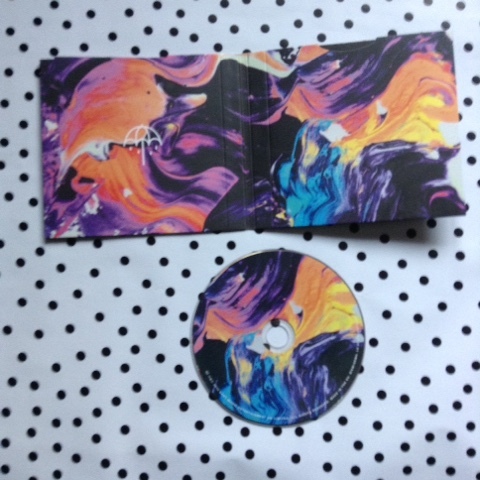 Aesthetics wise, how beautiful is that cover art on the inside? Total contrast to the all black outside. Musically, this seems like a logical progression from sempiternal. I was worried when I read in Kerrang that "Happy song" is the heaviest song on the album, but I honestly really enjoyed all the songs. There is a lot more singing, as we all probably expected after hearing "Drown" last year. Speaking of, I still really enjoy that song~ It's nice to hear that this album is really the one they want to make, as it is produced by Jordan. 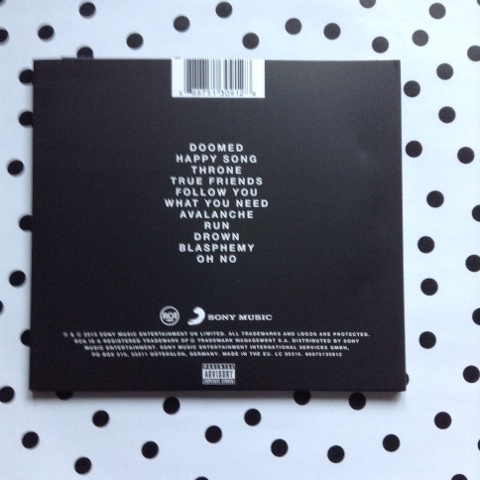 So far my favourite songs are "Avalanche" "Happy Song" and "Oh no". BMTH's lyrics have always been pretty special for me, and avalanche in particular is a song that I can relate to. (Wow, I sound like such an obnoxious fangirl... sorrynotsorry) Seriously though, other BMTH songs like "Don't go" "Join the club" and "The Comedown" are essential listening on a low day. This album, like any good album, has a decent mix of slow and reflective, but also loud and feel-good. I forced my sister to listen to the album with me the other day, and even she liked "Oh no". BMTH have definitely gone in a new direction, but they have been experimenting with their sound for years, especially since There is a hell... and obviously since Sempiternal. I kind of miss Oli's screams, but I can still listen to their old stuff and I'm happy with both sounds. I also got the t shirt, pictured is the design on the back, in men's size large. On the front it has "That's the spirit" written, It fits well, but I don't have any photos of it on because it is packed in a suitcase at the moment.... whoops. It is a really nice soft material so I can see this shirt becoming a wardrobe staple for sure. 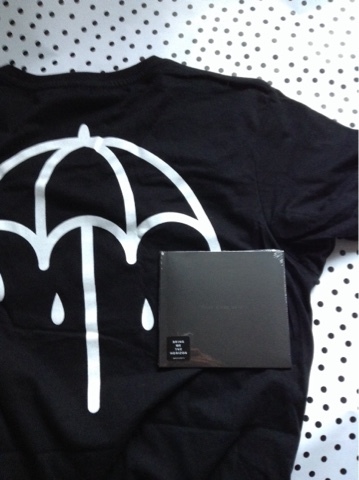 Bring Me The Horizon's newest offering is awesome, and is absolutely destroying the charts right now! Go check it out! Thanks for reading! 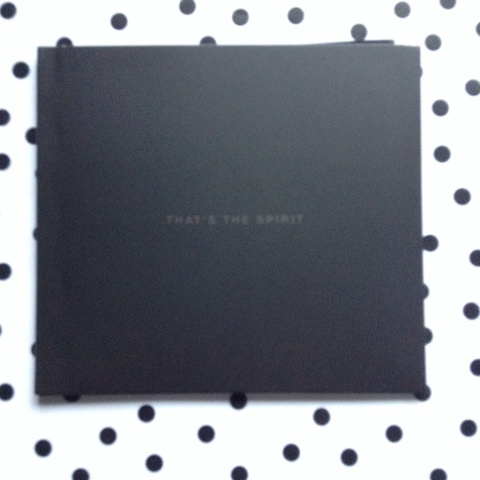 Will you be nabbing a copy of "That's the spirit"? Or do you have one already like me?